Mark Hamill and Carrie Fisher aren’t the only ones talking about the new Star Wars trilogy and the potential role resurrections therein. 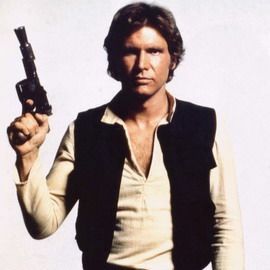 “Harrison is open to the idea of doing the movie and he’s upbeat about it, all three of them are,” a source close to Ford tells Entertainment Weekly. Disney’s Star Wars: Episode VII is reportedly set for 2015. This year, Ford is 70. Search your feelings for how to react.